Spanish Schools in Valencia : Spanish Language schools in Valencia at Ih. 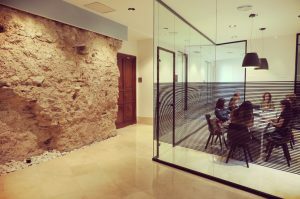 Españolé International House Valencia is located in the city center, just a few steps away from all the interesting sights and great restaurants. 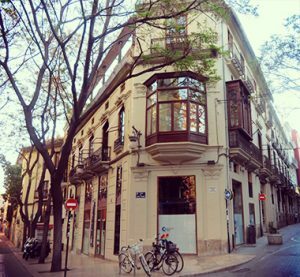 The school is made up out of two buildings which are surrounded by shops, historical sites, and the energetic Spanish city life. IH Valencia has modern facilities and offers a wide range of courses given by highly professional teachers. We take care of all the details such as student lodgings, and encourage our students to participate in the cultural activities we organize every week. From the moment you arrive on the day you leave, we do our best to ensure you make the most of your stay with us. The Mediterranean Coast – The climate, the culture, the way of life – the Mediterranean is popular for many reasons, and Valencia is situated right in the middle of Spain’s Mediterranean coast. Modernity and History – From the historical old town to the hyper-modern City of arts and Sciences, Valencia has the best of both ends. The Beach – What better way to spend and afternoon after class than the beach? Take a local bus or have a walk, it’s up to you! World food Capital (2017) – Valencia was named the world’s food capital in 2017 by the Food and Agriculture Organization (FAO). This is also probably the best place in the world to enjoy Spain’s famous national dish Paella, because it actually originates from Valencia. Nightlife – Valencia has a buzzing nightlife scene, offering up all kinds of options. Do you like live music? Big open terraces or underground nightclubs? Don’t worry, here you will be able to find a bit of everything.